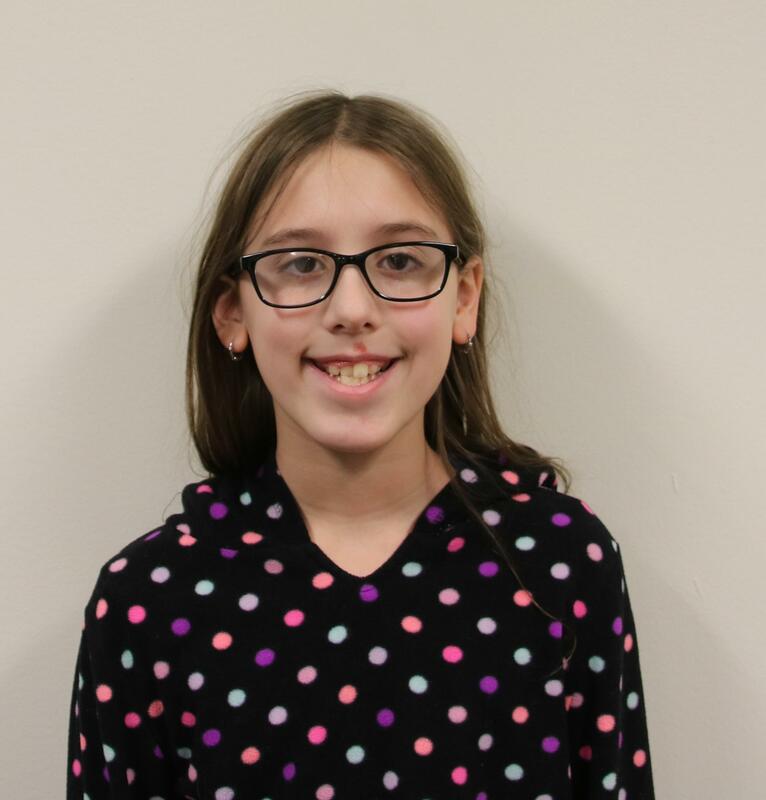 Lola Giannelli, New Hampshire's "Kid Governor"
Four-hundred-fifty fifth-graders from five elementary schools across the state participated in what is essentially a hands-on civics education program. They made campaign videos sharing their platform, watched the videos made by their peers, and cast votes for their favorite candidate. Ten-year-old Lola Giannelli was their favorite; she ran on a platform of animal rights. "I have five animals at home and I feel like they shouldn't be abused," Giannelli told NHPR's Peter Biello. So far in her role, she has made dog toys with her fellow classmates to donate to the Humane Society. Listen to NHPR's Peter Biello interview N.H. "Kid Governor," Lola Giannelli. The conversation was featured on The Exchange's Weekly News Roundup. From this program, Giannelli said her peers learned how to identify issues that matter to them and how voting works. One thing in particular that she learned from the inaguration ceremony? Politicians, including Governor Sununu, often wear lapel pins. Giannelli walked away from the State House with the pin Sununu was wearing that day -- it had "1776" written on it, and a picture of a bird, she said. Two runners-up candidates will serve as Kid Executive Councilors in the administration. Giannelli says she plans to include her former competitors in her work. "Whatever I do in Nashua, I'll invite them to do in their areas, too." When asked whether she is excited to be old enough to vote, Giannelli said, "Yes, very excited."